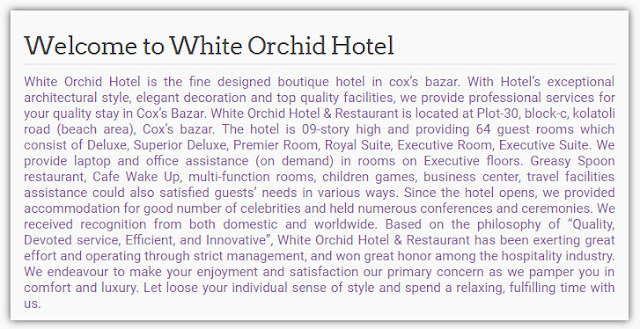 White Orchid is one of the beautiful and luxurious hotels in cox's Bazar sea beach. It stands on the road of Kolatoli Sea Beach. 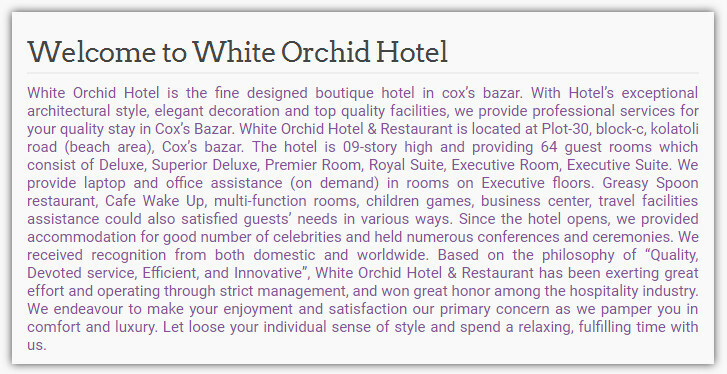 Here I will provide you with a detail about White Orchid Hotel for your future journey. You can pass your journey in this hotel with the low prize but luxuriously. First class service with very reasonable room tariff & food price!